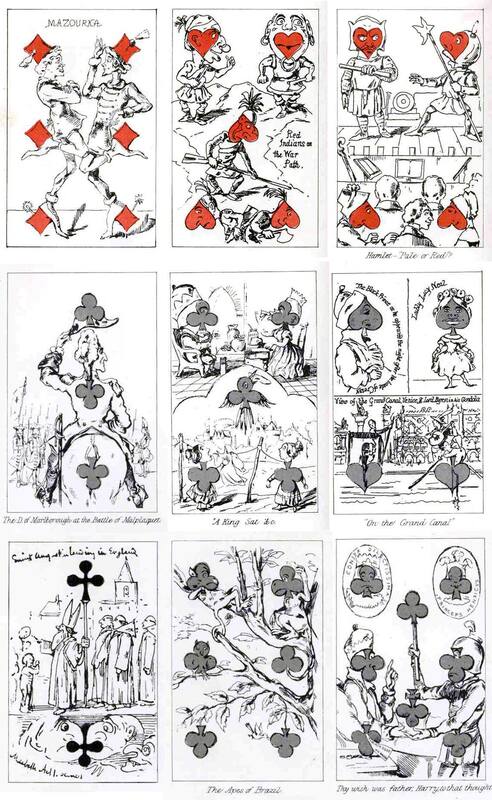 William Makepeace Thackeray (1811-1863) was a popular novelist and caricaturist who designed this incomplete but vivid set (21 cards) of Transformed playing cards, which his daughter published after his death in the book The Orphan of Pimlico, 1876. He is said to have become bored with the project and never returned to it after his attempt to pass the time on a transatlantic crossing by designing these cards! 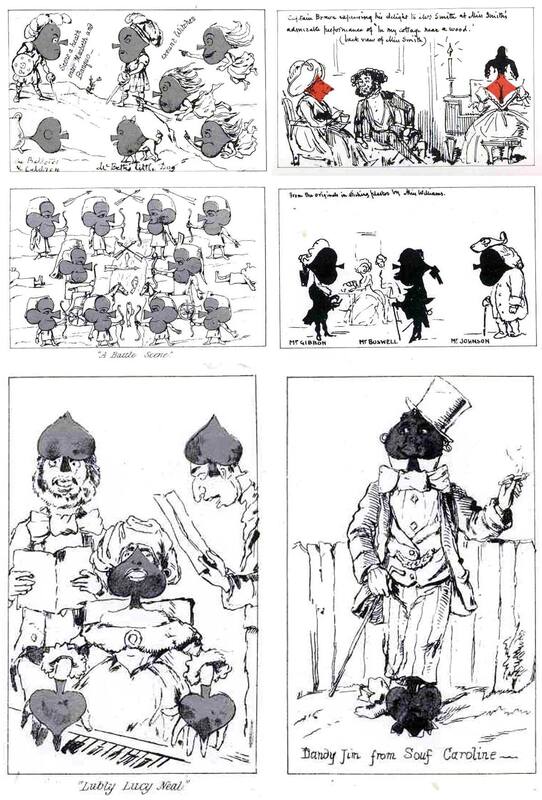 The book illustrations shown here were re-drawn by artisans employed by the publisher of the book in which they were published. 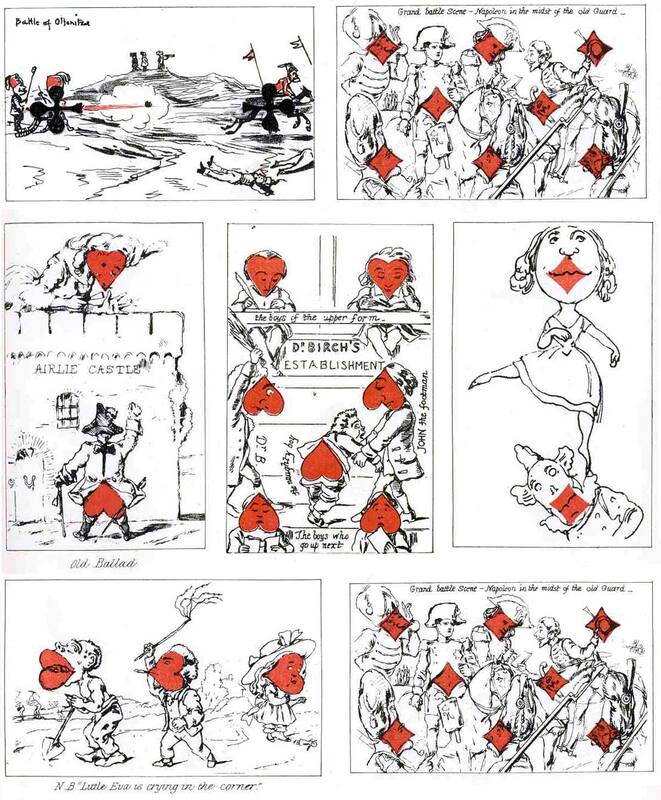 Above: Transformation playing cards designed by William Makepeace Thackeray, 1876. These cards are scarce and can only be obtained from the book.